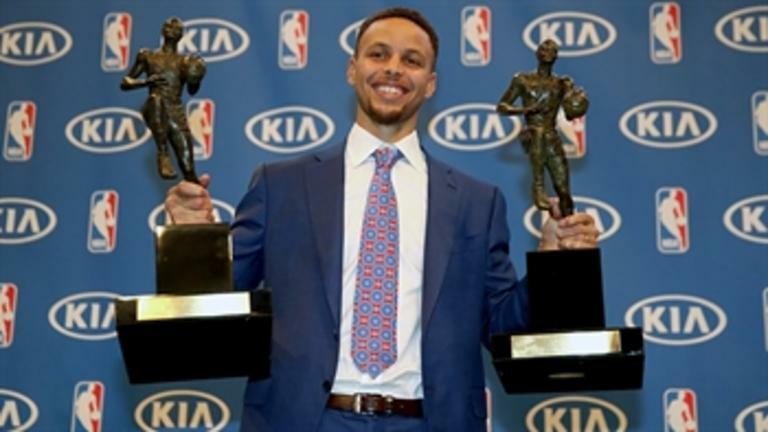 Stephen Curry on Tuesday won his second consecutive MVP award, becoming the first player in league history to win the award unanimously. The award is the latest in a string of unimaginably impressive feats for Curry, who returned from injury on Monday night and scored 40 points in Game 4 against the Blazers to swiftly remind the basketball world why he is the best player alive. But the award is also the latest in a string of unimaginably impressive feats for Under Armour, the 20-year-old athletic apparel company that sponsors Curry and quite a collection of other athletes — all of whom are at the apex of professional sports. Under Armour recently surpassed Adidas in sales, which makes sense when you consider this impressive run of form. In April, CEO Kevin Plank said as much when he credited Spieth and Curry for its strong Q1 earnings. Despite the hot streak, the company still has a long way to go to really compete with Nike in total sales. But if Under Armour's athletes can keep dominating their sports, that might — one day — actually happen.